Known primarily for manufacturing electronics such as mobile phones and plasma televisions, LG Electronics also produces home appliances like vacuum cleaners and air conditioners. 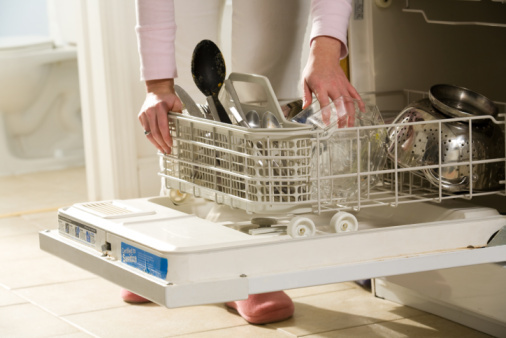 Without regular care, the cooling power of your appliance can be diminished by a build-up of dust and dirt. Luckily, just a little bit of regular, common sense care can keep your air conditioner performing at its best and may even extend the life of your appliance. Unplug the air conditioner from its power source before cleaning it or performing routine maintenance to avoid electrical injury. Wipe the air conditioner cabinet, front grille and inlet grille with a soft cloth that has been dampened in warm, soapy water, as needed, to keep the appliance free of dust and dirt. Clean the condenser coils on the rear of the air conditioner unit regularly to prevent them from becoming clogged with dust and dirt. Use a hand sprayer or garden sprayer to rinse the coils until clean.